Husain Limdiyawala October 18, 2017 October 18, 2017 Did you know? A routine simulation test went horribly wrong due to flaw in the reactor design and most importantly blunders of the operators who had very limited understanding of the underlying technology. The reactor exploded, caught fire and the radioactive residue evaporated in the air. The radiation levels increased not just in USSR but to far off places like Sweden and even Canada. Radiation is like slow poison. The effects of it can last for decades and not just with immediate victims but their entire generations to follow. Health official estimate 28% increase in rates of cancer over the next 70 years near Chernobyl. It will take at least 20,000 (twenty thousand) years for the surrounding area of the disaster site to become safe for human habitat. The atomic bombing on Hiroshima & Nagasaki happened in 1945. Till date, there are cases of cancer and genetic mutations even after 72 years. It is sad we have not learnt from our past. 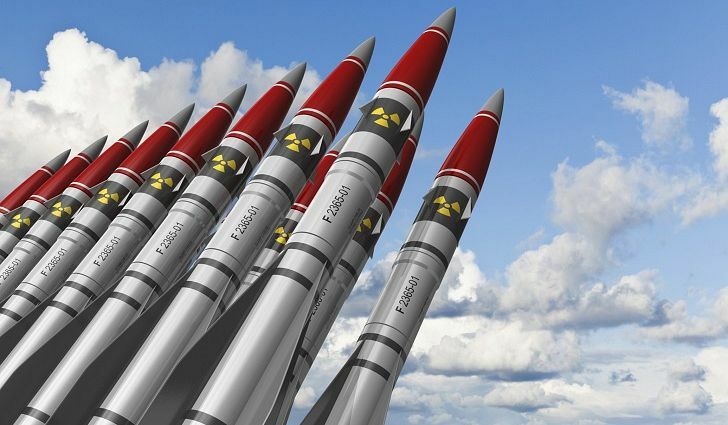 9 countries listed below have a total of around 15,000 nuclear warheads. These can destroy our planet, our ecology, our environment and us as species irreparably. Most powerful bomb in US arsenal is B83 which is 79 times more powerful then the atomic bomb dropped on Hiroshima. Its equivalent to 1.2 megatons of TNT and can cause third degree burns in the area of 420 square kilometres. Difficult to imagine this horror. To give you a perspective manhattan island is 59.1 square kilometres. There are 15,000 powerful warheads on similar lines enough to wipe our existence. Countries claim they are reducing their nuclear arsenal, but instead increase fearing power of other. Its simply absurd and there is no end to this as there is no end to human insecurity. We might be sleeping in the confines of our home with our doors locked but what if some psychopath hacks into the launch control server and activate these warheads?